Police request the public’s assistance in locating the suspect of a sexual assault. The incident happened at approximately 7:45 p.m. on Friday, June 1. According to police, the suspect approached a 23 year old woman at a convenience store in the area of Kings Cross Road and Knightsbridge Road, west of Bramalea at Clark Boulevard. Police say the suspect attempted to make conversation with the victim, who left the scene on foot. The suspect followed the victim in a silver vehicle, approached her again, and sexually assaulted her, police say. The suspect then reportedly fled the area in his vehicle. 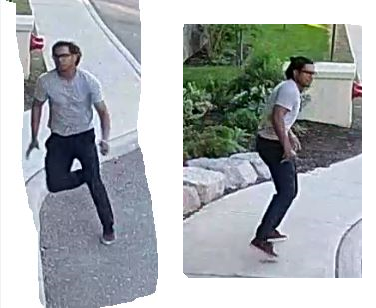 The suspect is a South Asian male thought to be in his early 20s, 5'7, with a medium build and glasses. He was wearing a grey t-shirt and dark pants.